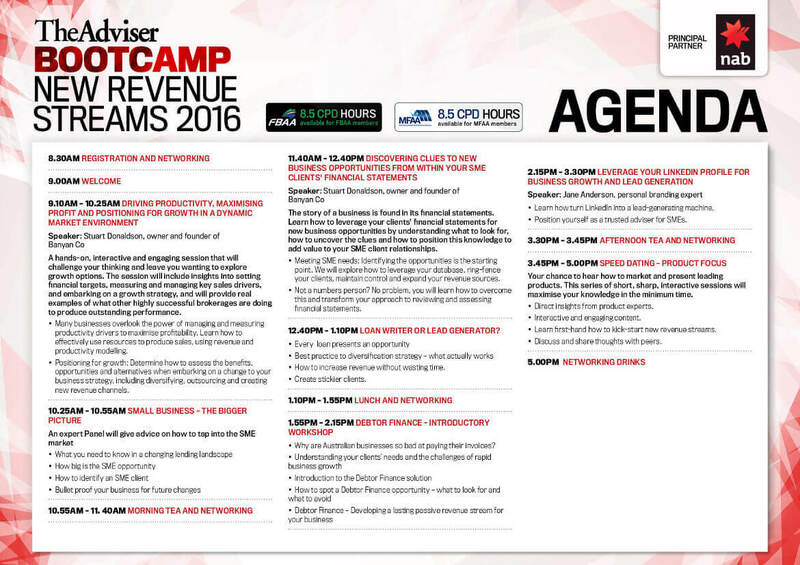 Packed full of workshops and interactive sessions, The Adviser’s New Revenue Streams is a one day intensive boot camp, specifically designed to help you accelerate business growth by equipping you with the resources and knowledge required to break into new areas of lending. MAKE THIS YEAR YOUR BIGGEST ONE YET! 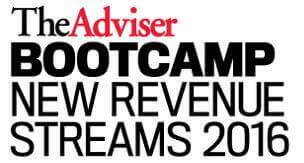 Discover how to easily break into new markets, quickly and simply build your business to capture new revenue streams and rapidly expand your client base at The Adviser’s new revenue streams Boot Camp. This one-day interactive workshop – exclusively created for brokers looking to grow their business – will give you the tools you need to capture more business from your existing client base and build a stronger more profitable business. This is an essential event for all brokers that want to accelerate their business growth and capture more business from both new and existing clients by offering more products to clients that need your services. With over 15 years’ experience in Lead Generation for trusted advisors, experts and thought leaders, Jane helps her clients to grow their businesses through LinkedIn. She is one of LinkedIn’s endorsed Small to Medium Business Advocates and identified as one of the top 20 influencers on LinkedIn in Australia and New Zealand. Her clients include Virgin Australia, Sunsuper, Lego, Ikea, Rio Tinto and Origin Energy. 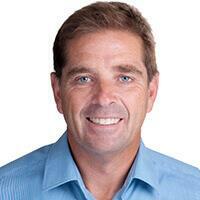 Stuart has a Bachelor of Business (Accounting) degree and Advanced Diploma in Financial Services. At NAB, we understand that every loan matters because it has the potential to create a home, build a business or achieve a dream. Our broker channel is uniquely positioned to provide brokers the tools and support they need to help their customers. Our comprehensive offering empowers brokers to build success on their own terms. Residential, small business and commercial solutions Whether it’s buying a home, opening a business or seeking commercial finance, we’re here to help our brokers change the world for their customers. That means finding the right products, making it simple and easy and assisting them through their journey. or talk to your BDM today. Suncorp Group includes leading general insurance, banking, life insurance and superannuation brands in Australia and New Zealand. The Group has 15,000 employees and relationships with nine million customers. We are a Top 20 ASX-listed company with $96 billion in assets. Thorn Business Finance is a specialist in providing fast, flexible, high-quality funding solutions that meet the unique needs of Australia's SMEs.Thorn Business Finance is a division of Thorn Group Limited, a respected public company listed on the ASX. Established in 1937, Thorn Group Limited is now one of Australia’s leading providers of consumer leasing and financial services. We offer financial products and services, tailored to meet the needs of Australia’s SME, corporate and government organisations. We provide thousands of businesses with the finance they need, when they need it. Whether it be for equipment finance, working capital or cash-flow. We support businesses of all shapes and sizes across Australia and we are committed to making sure everyone is given a fair go. For flexible solutions, fast approvals and great customer service from a company you can always depend on, choose Thorn Business Finance. We’re here to help you grow. FAST is one of the major wholesale aggregation groups in Australia with over 1,200 finance brokers settling in excess of $21 billion per annum. FAST has a diverse panel of more than 30 Lenders across Home Lending, Business Lending and Asset Finance. FAST is the unique market leader in enabling brokers to deliver business lending and asset finance solutions to their clients. FAST provides our finance brokers with a CRM, marketing capability and a commission management platform enabling them to operate their business efficiently and effectively. FAST offers the flexibility to our finance brokers to either operate under their own ACL or as a credit representative under the licence of BLSSA Pty Ltd.
FindBroker is Australia's largest digital database of finance and mortgage brokers, with a total reach of over 1.5 million Australians across multiple platforms. With access to hundreds of products and services for a wide range of loans, finding the right broker for has never been easier for borrowers. Borrowers can browse through products and services offered by brokers and can find brokers who will match their specific needs such location, spoken language, income type, application group, borrowing%, bad credit and more. Brokers are able to build a powerful profile to showcase their areas of speciality, add success stories, collect reviews and services provided. In the age of the digital boom and with over 50% of Australians now turning to brokers for their mortgage needs - FindBroker is perfectly positioned to provide powerful lead-generation stream to brokers, thereby helping them to grow their business. We are Specialists in providing additional revenue streams to mortgage brokers for over 4 years now. Spectrum Wealth Advisers has implemented sales and referral programs that are the simplest to use and understand in the market. 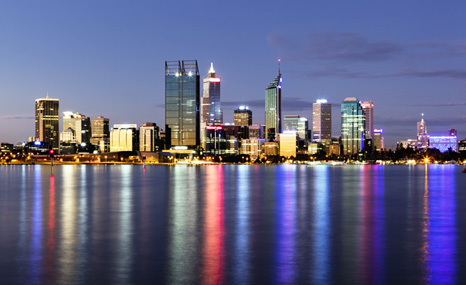 Spectrum Wealth Advisers are a privately owned financial services provider that supports Finance Professionals across Australia to diversify their income by helping their clients with debt management, protecting their assets and safeguarding their income and their families. For brokers looking to grow their income with minimum effort and maximum effect, Spectrum Wealth Advisers has a proven track record of increasing brokers’ wealth through the very simple and obvious strategy of diversification. With dynamic marketplace technologies that match business loan seekers to the credit criteria of over 35 lenders, Valiant short cuts the time and effort in finding and locking in your SME client's best business loan. In 2-5 minutes on Valiant's platform, (or on the phone), your client’s business loan can be sense checked, matched and connected to a lender - increasing your client's ability to gain the most appropriate level of funding, whilst increasing the effectiveness of your commercial advice. Valiant is free to use, and their speciality credit solutions team can manage all the aspects of the loan request, through to settlement. With over 50 loan options from across the business lending spectrum, Valiant is the first choice in business loan marketplace. 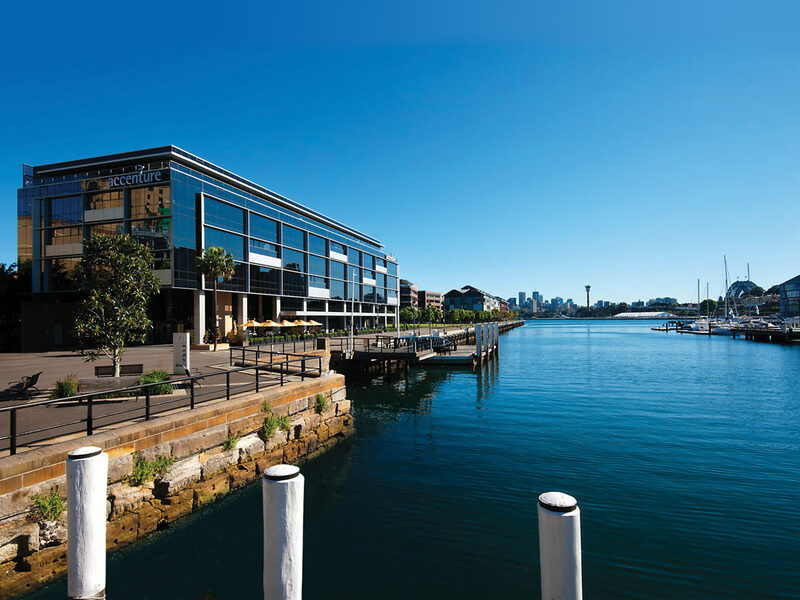 More than just your traditional financial services provider, Wealthy & Wise is an integrated business hub where lifestyle solutions are provided by advisers who are experts in the fields of financial markets, property, taxation, superannuation and personal risk insurance. We are committed to being authentic, to being seriously smart about financial matters and to being a convenient and accessible hub for advice that directly impacts client lifestyles.We provide a holistic solution for any matter that involves personal finance, insurance, property related transactions or tax. What’s more - we actually care about the outcome. We respect clients’ lifestyle choices and work to gain a strong understanding of what they want to achieve, so we can help them stick to their plan without compromising on lifestyle.Our vision is to be the local hub for advice, where people from all walks of life can come and receive help when planning different aspects of their life now and in the future. Want to be a part of what we’re doing? If you share our values, are great at networking and interacting with people, and want the opportunity to gain new skills and knowledge while running your own business - becoming a Wealthy & Wise franchisee may be the next step for you. Start your journey now by getting in touch to find out more. MOULA is Australia's leading online lending platform for small businesses, offering unsecured loans of up to $250,000 via a simple application process. Using innovative underwriting platform, SMEs are empowered to access capital by sharing their cloud accounting or transaction data. Founded by an experienced team from the world of finance and technology, Moula is focused on solving the challenges faced by small business’ in accessing funding in order to grow.